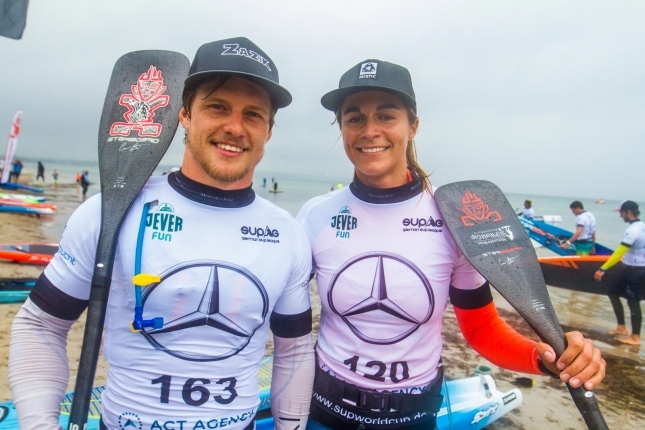 In brief: Michael Booth and Olivia Piana have put an exclamation point on their European summers of SUP, with the Starboard duo taking out week 8 of the EuroTour here at the SUP World Cup in Scharbeutz, Germany. Boothy won the ~8k distance race here on Sunday morning to the surprise of no one, which makes up for his early exit in yesterday’s sprints. 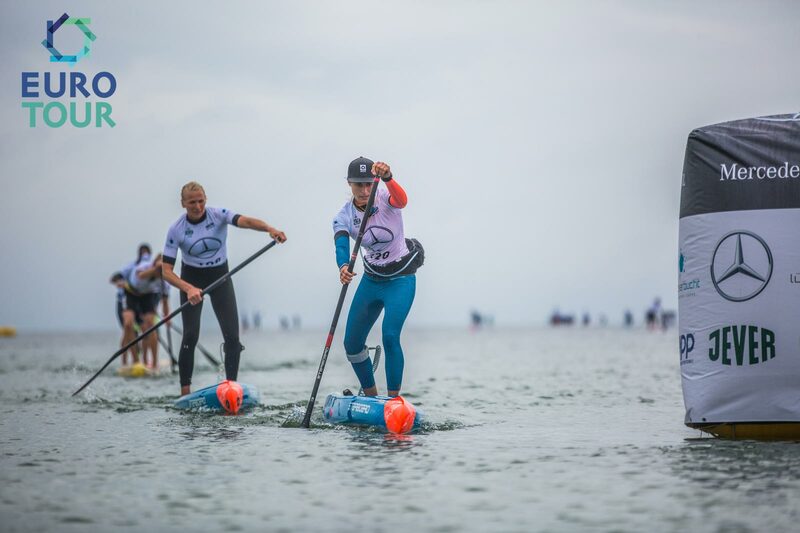 Coming home second was one of Europe’s finest, Leo Nika from Italy, while Mo Freitas hit the podium for the first time this summer as the Hawaiian continues to regain his strength. Meanwhile, while Olivia fought all the way with her team mate Sonni Honscheid before pulling clear in the final few hundred metres, giving the Frenchwoman three straight wins on the EuroTour. Unheralded Dutchwoman Petronella van Malsen from Team Mistral snagged the third spot on the podium with a strong performance. 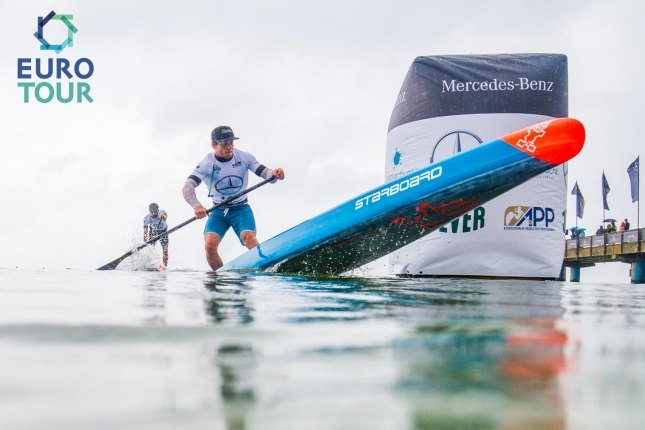 It’s a busy weekend here at the Mercedes-Benz SUP World Cup: In addition to the EuroTour race, we also have the SUP World Cup proper, which consists of Saturday’s knockout sprints (where Lincoln Dews and Fiona Wylde saluted) followed by this afternoon’s Super Lap race. The two SUP World Cup disciplines (sprints/super lap) will be combined to crown the overall event champions, while the EuroTour is a one-off race that fits in with the broader Tour that’s been running all summer. We’ll have a Facebook Live feed of this afternoon’s distance race over on our Facebook page.